Historian John Keegan writes that on July 4, 1917, elements of the American Expeditionary Force (AEF) paraded in Paris. A year later some of those men were to fight and die in the Meuse-Argonne offensive, the biggest and most costly military campaign in America’s 242 year history. Sadly, too few people have even heard of it. 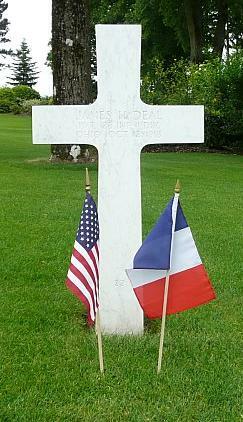 The battle lasted forty-seven days and left 26,277 American soldiers dead and 95,786 wounded. Think about that toll mounting so quickly. Do the math — that’s 4,300 men dead every week for six weeks. Over the years of fighting in Iraq there are approximately 4,500 dead and 32,000 wounded. It definitely was a different time. No single battle in American military history, before or since, even approaches the Meuse-Argonne in size and cost, and it was without question the country’s most critical military contribution to the Allied cause in the First World War. And yet, within a few years of its end, nobody seemed to realize that it had taken place. 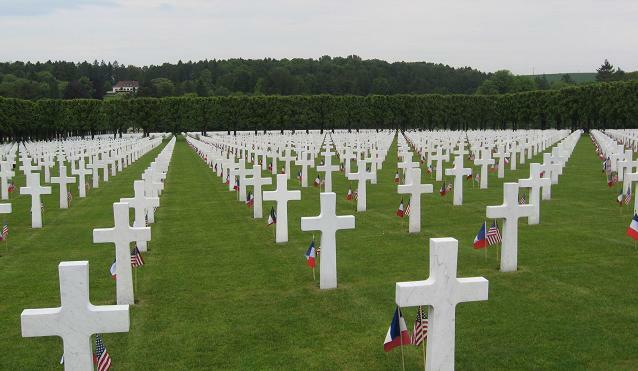 In May 2008 I had the opportunity to tour World War I and World War II battlefields and visit military cemeteries in Luxembourg, Belgium, and France. 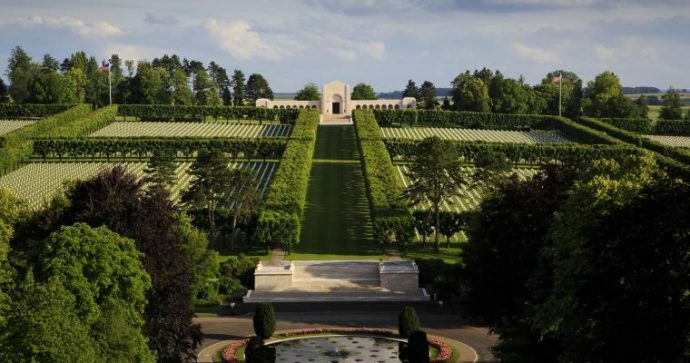 On the first day of the tour the bus took us through the remarkable French countryside, and one of our stops was at the Meuse-Argonne American Cemetery and Memorial, where over 14,000 World War I soldiers are buried. It is the largest U.S. cemetery in Europe, and it is wonderfully cared for by the American Battle Monuments Commission. The ABMC brochure explains that the memorial chapel “is located on the crest of a gently sloping hillside overlooking the graves area.” The cemetery was established in October 1918 at the midpoint of the battle, and the French government granted the use of the land to the United States as an expression of gratitude. 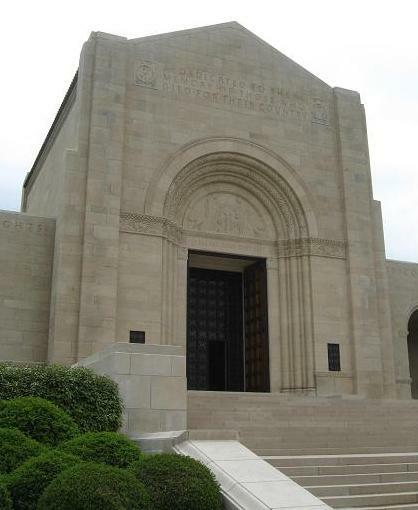 The tour bus let us out at the front of the Romanesque style memorial at the cemetery. It is without a doubt one of the most beautiful places I’ve ever visited. The site of 14,246 marble crosses on the perfectly manicured 130 acres is something you don’t forget. Hillsdale College professor Tom Conner explained to our tour group that the American Expeditionary Force had fought their way up over the hill from the south. He motioned with his arm in the direction of the fields beyond the chapel, up, over and then downward to the graves of the men who fought for and won the land where we stood. The picture at the top of this article from the American Battle Monuments Commission was taken facing south, and you can see the farm fields beyond the memorial. A higher resolution copy of the picture reveals the slope of the land — the memorial stands at the top of a small rise, and behind it you can see the fields spreading south into the distance. Ninety years later the hills, fields and groves of trees in that countryside are as picturesque as any I’ve seen. The scattered small towns are clearly what F. Scott Fitzgerald had in mind when he had his protagonist and World War I veteran Nick Carraway refer to “wet, gray little villages in France” in the novel The Great Gatsby. Machine guns, artillery fire, and poison gas attacks in such a place is hard to imagine. When America entered World War I in April 1917 the war was closing in on its third anniversary. Earlier that year one German navy secretary dismissed American power as “nothing,” and assured his superiors that “they will not even come.” If they did, he said, “our submarines will sink them.” At that time the size of the American army ranked 17th in the world. Their personal popularity was everywhere noted. The Americans were light-hearted, cheerful, enthusiastic, dismissive of difficulties. Another observer said the American Army provided the anvil to the Allies’ hammer blow to the Germans on the Western Front. After German successes earlier in 1918, French-led action had turned the tide during the summer. The goal of keeping the Germans on the defensive was taken up by the Americans — and they succeeded. We have got to finish this job this fall. What we need are two fisted fighters who will push their way through regardless of the cost. The French won’t last another winter. We have got to win this campaign now or face defeat. America’s entry and commitment to continuing in the war meant Germany couldn’t win. In the days after the Meuse-Argonne offensive began, Germany was working towards negotiating peace. One hundred and thirty-plus years before World War I the roles were reversed, when Lafayette’s expeditionary force had come to the aid of the colonists. Because of the help of the French, every year Americans are able to celebrate independence. In 2008, the ninetieth anniversary of the AEF’s big battle was celebrated in France with events marking the progress of the attack which began on September 26 and ended with the Armistice on November 11th. It’s strange that a military graveyard should be so lovely, but lovely is the only way to describe the Meuse-Argonne American Cemetery, 26 miles northwest of Verdun. As exquisite as any French park or chateau grounds, the cemetery is a formal garden of perfectly clipped trees, immaculate lawns, fountains and roses and long white rows of grave markers. Given its beauty, it’s also strange how empty the place is — and stranger still since this is the largest American military cemetery in Europe, the burial site of 14,246 United States service members who died in the war to end all wars. It is not for us to proclaim what they did, their silence speaks more eloquently than words, but is for us to uphold the conception of duty, honor, and country for which they fought and for which they died. It is for us the living to carry forward their purpose and make fruitful their sacrifice. Image credit: Second and fourth photos by John Biver.